Teaching…the most noble profession. Though Roger Krenzin has been a mission pilot, a soldier, and an aircraft mechanic working in remote areas throughout the world, if you want to see his eyes light up, ask him about being a teacher. More specifically, a teacher of others who use airplanes on behalf of JAARS, a mission aviation program based in North Carolina. If asked to provide a quick description of Krenzin, several come easily to mind: friendly, happy-go-lucky and somehow a little intense all at the same time, and above all, dedicated to sharing what he has learned over more than 30 years of mission flying. Flying for the benefit of others has been his life, and despite his best efforts to hide a sadness that comes with such a decision, Krenzin has been forced to ground himself. 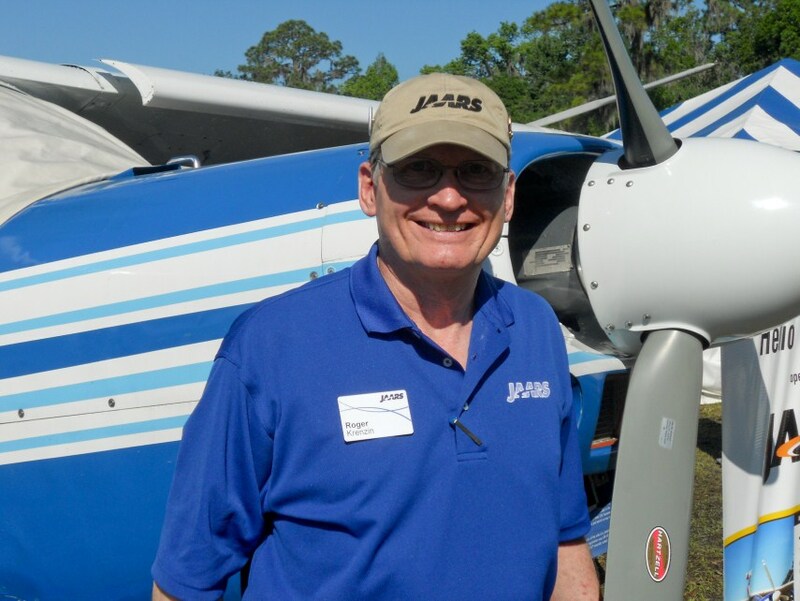 A little less than two years ago he noticed that he no longer had the easy and sure recall a pilot needs, especially if an emergency should arise. A trip to the doctor and an MRI didn’t reveal a tumor or other easily-revealed hidden reason for words or facts to be just out of reach, but doctors eventually diagnosed a degenerative left frontal lobe. Calling his self-grounding “the hardest thing he has ever done”, he has since concentrated on continuing to teach, adding hours of ground instruction to the thousands he no longer bothers to log. Off a runway carved from a farm field, his dad gave him his first flight when he was only five months old. Not long after, his father became a mission pilot and moved the family to Sudan where Roger would grow up admiring his father’s work, and learning to respect the customs, challenges and hardships faced by people living in poverty. That experience had a profound influence on the young boy, forever shaping his approach to people of cultures far removed from those of his family and friends. And his broader outlook would sometimes reveal itself in unusual and effective ways. During a period of heavy flying in Ecuador, Krenzin would often fly delivery and medical missions to remote areas, and aware that he needed to connect to the members of one tribe that still harbored suspicions of an outsider, he would wear the clothing of that tribe when he flew into the jungle strip near their village. Because he cared about how they would see this man arriving in an airplane, and he understood what would help them accept him, they responded by calling him “brother”, a memory still readily available to him after many years. Another powerful memory takes him back to Ecuador again, and to the Waodani, a tribe living near the remote town of Shell. Years ago they were known as the Auca, and their story is forever linked to the tragic massacre of five missionaries in the mid-1950’s. Krenzin recalls the story of an emergency medical flight to save the son of Dyuwi, one of the tribesmen who killed the missionaries, and who would later become a “minister” to his own people. Krenzin knew that Dyuwi was known for praying for a long time, and that if Tañi was to be saved, he would need to depart immediately, so he offered a short and simple prayer of his own, “I said, ‘Lord, help him not to pray long’. Dyuwi wanted to circle the airplane with the other Waodani people and pray for his son, but we laid the boy in the plane and strapped him on the floor. I flew the boy to the hospital in Shell, and two weeks later they called and asked me to fly him back to the village because he had recovered.” Krenzin’s flight from the jungle saved the life of the young boy, and created a lifelong and unique bond only possible between those whose lives cross in moments of crisis, when one person gives and the other receives. Krenzin has since followed the life of Tañi, and says that, “In 2009 they had a training course on using outboard motors, and Tañi, now a grown man, gave the devotional and said, “When we have a bad outboard motor and we can’t fix it, we just throw it out. God doesn’t do that because he wants to heal us, use us and love us. Then he said, “I almost died, and if I would have, God would not have thrown me out, but would have taken me home.” Now the young man who would have died without Krenzin’s flight in 1982 is a spiritual leader in his tribe. Roger Krenzin knows he has been fortunate to have been a pilot and a teacher, and as it becomes harder to recall some of the special times, that he’s fortunate to have snippets of memories recorded as terse lines in his logbooks; little bits of information that still trigger the sight of a jungle canopy passing feet below with a young boy beside him on his way back to life with his family, or bring back the smell of the cockpit of an old DC-3 as it lumbered across the mountains of Colombia, or remind him of the seemingly endless expanse of ocean underneath the twins he ferried to mission sites in New Guinea or the Philippines. Roger Krenzin’s logbooks may appear to be filled only with dates and times marking more than 6000 hours of mission flying in 41 countries, but they are far more than that. They are a testament to his work that has changed and saved lives. And his thousands of hours as a teacher are a testament to a legacy that lives on in every flight of each of his students as they take what he has taught them and fly their own missions into jungle and mountain strips. His memories may dim as time and disease takes its toll, but his life of service so well-lived will last forever.